Brentford and Isleworth MP Ruth Cadbury will be joining Hounslow Council Leader Steve Curran, Mayor Samia Chaudhary and other local councillors at the annual celebration of all the River Thames has to offer at this year’s Tidefest at Strand on the Green on Sunday September 2nd. Tidefest 2018 is based at Strand-on-the-Green in Chiswick, with activities at Richmond, Twickenham, Brentford, Barnes, Kingston, Deptford, and other locations along the Thames Tideway. Tidefest is now an established River Thames event which aims to highlight the recreational importance of the Thames to Londoners and to encourage people to 'enjoy the river'. It is part of the month long Totally Thames Festival and is sponsored by Thames Water, Fullers and Tideway, the company delivering the new Thames Tideway Tunnel to clean up the river. As usual there will be loads of great activities for all the family including foreshore and photographic walks, an angling competition, paddle-boarding, river dipping and kayaking. London Wildlife Trust will be on hand with their Dragonfly Detectives and opportunities to sign up for free hedgehog garden detection kits, and visitors can enjoy nature reserve visits, stalls and displays, a circus workshop and bouncy castle, children’s games and live fish tanks. Tidefest includes local artists, food, music and generous discounts off admissions to the London Museum of Water and Steam. • Guided boat trip and visit to Chiswick Pier and back aboard the Thames Discoverer with Peter Finch – chairman of the River Thames Society – to see and hear about the work of the Royal National Lifeboat Institution. 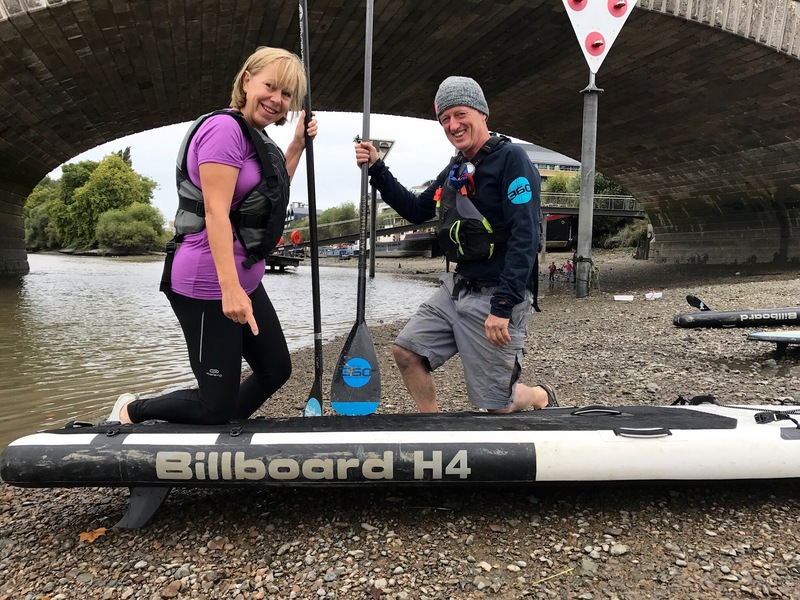 • Paddleboarding - 50 minute supervised sessions with Active 360 at Kew Bridge from 9.30am plus a three hour eco-tour to Chiswick Island and back. • Taster sessions for those new to kayaking organised from the Boating Arch at Kew Bridge by Edge Paddling. Tidefest is organised by a coalition of organisations led by the Angling Trust, River Thames Society and London Wildlife Trust.